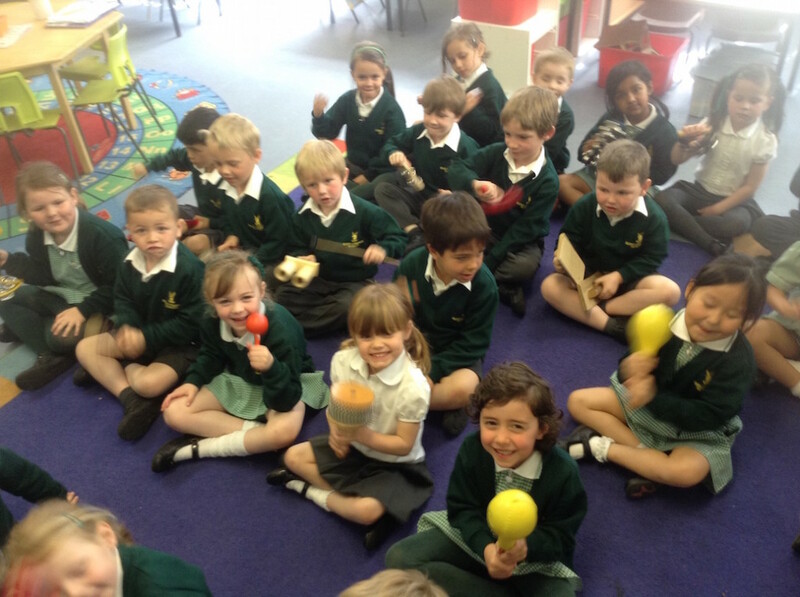 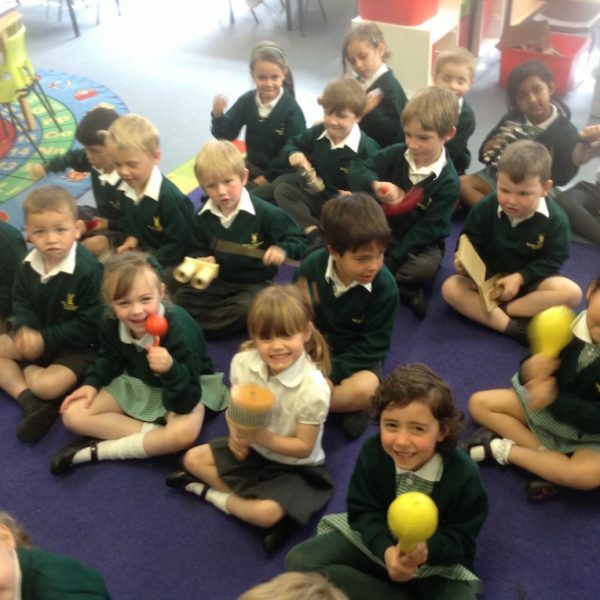 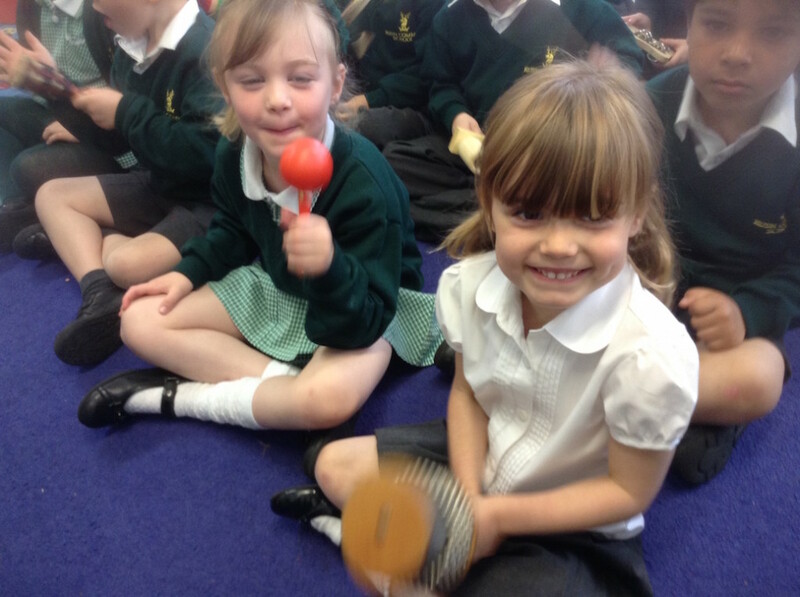 Music is encompassed throughout the curriculum at Rush Common School. 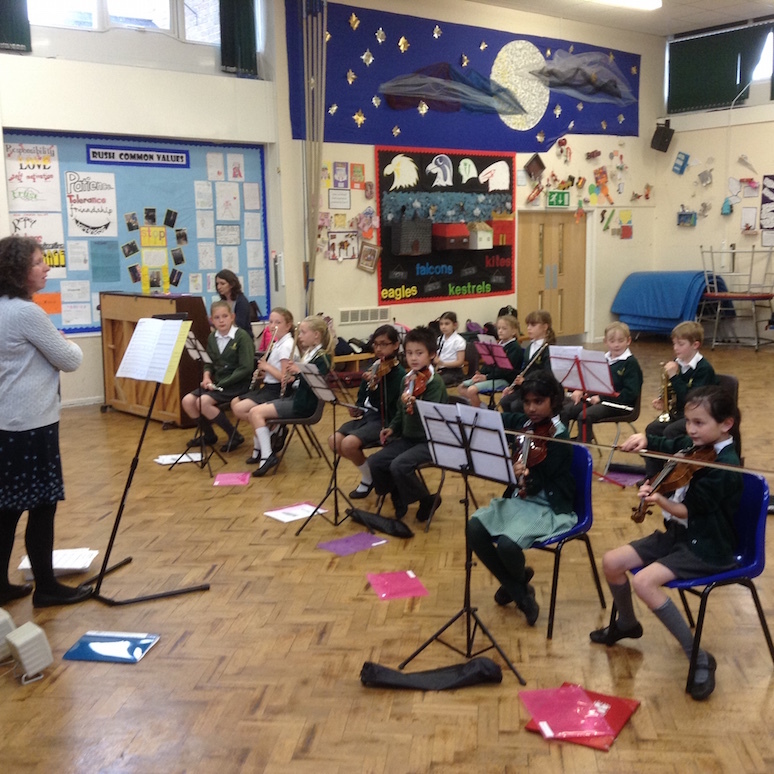 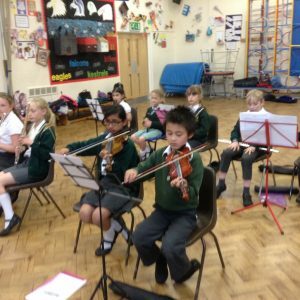 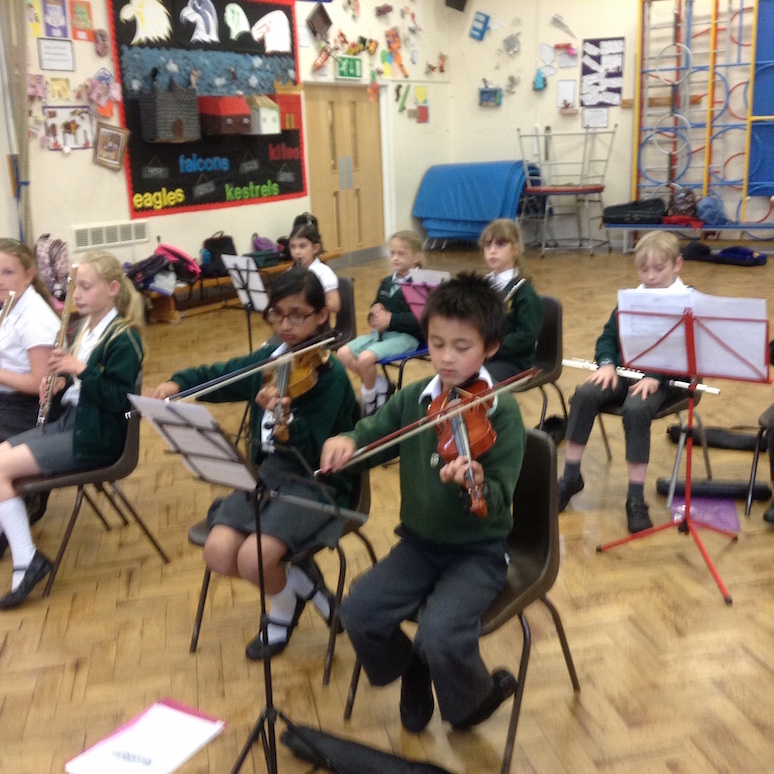 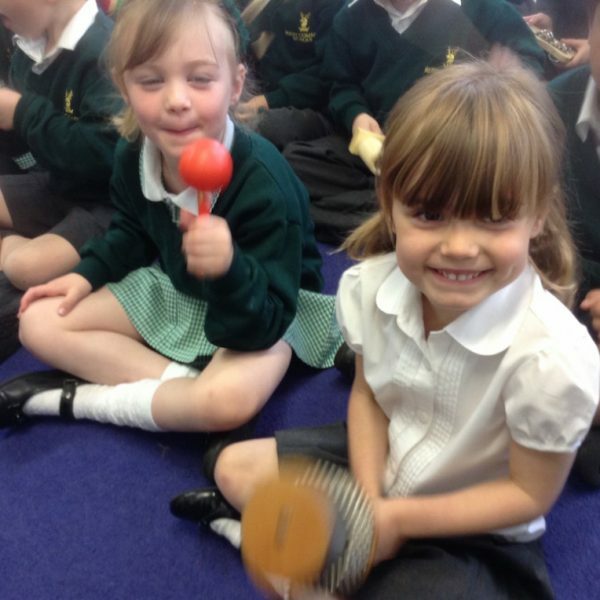 Children are given opportunities to play, compose and perform from Foundation to Year 6. 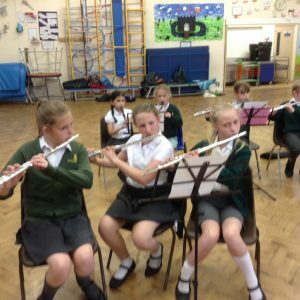 We have a school choir and orchestra as well as instrumental music teachers coming in to teach children flute, brass instruments, violins, keyboards and percussion and there are various music workshops throughout the year. 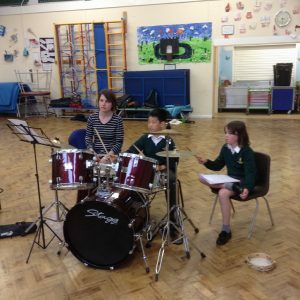 Local musicians are often invited in to play for the children, for example, for a sing-a-long to carols assembly in December.